Phineas Parkhurst Quimby , was an American spiritual teacher, philosopher, mesmerist, healer, and inventor. Quimby is widely recognized as being the main founder and leader of the New Thought movement. The essence of the movement was rooted in the interpretation of Quimby's teachings and he is often referred to as the intellectual 'father of New Thought'. Phineas was born in the small town of Lebanon, New Hampshire. He was one of seven children and the son of a blacksmith. As a youth, Quimby received little formal education. He also suffered greatly from 'consumption' as a youth and the medication he was prescribed by his doctor made him worse. Quimby began experimenting with his own ideas for a cure. He soon became interested in the mind's ability to affect the body. Phineas was a watch and clock maker by trade and even held several patents for mechanical devices. In 1836, Quimby began studying Mesmerism after attending a lecture by the French Mesmerist, Charles Poyen. Quimby became intensely intrigued with the nature of animal magnetism and its powers. Soon afterwards he left his trade and began to follow Poyen's tour of New England and for the subsequent two years (1838-1840), until he became proficient at applying the mesmeric hypnotism on himself. Around this time, Quimby met Lucius Burkmar and the two began a tour of their own, practicing mesmeric demonstations in front of large crowds. Years later Quimby began developing his own mental healing theories and practice and opened an office in Portand, Main in 1859. One of Quimby's well known students was New Thought authors Warren Felt Evan, who was the first to write seriously about the teachings of Phineas Quimby. Other students of his were New Thought writers Julius Dresser and Anetta Dresser, who were both cured of their own ailments by Quimby's new healing methods, and along with their son, Horatio, became lifelong supporters of Quimby's work. Mary Baker Eddy, the founder of Christian Science, was also a patient of Phineas P. Quimby. Eddy came to be a studen of Quimby and developed her own unique ideas about metaphysical healing based on his teachings. There was also some later plagarism controversy over whether or not Mary Barker Eddy had developed the theology of her movement out of the ideas she derived from Quimby's teachings without properly crediting him. Although Phineas P. Quimby was not an actual Doctor, he was often referred to as 'Dr. Quimby' because he was so well known for curing patients through his unique mental healing methods. 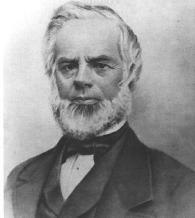 Quimby passed away in 1866, at his residence in Belfast, Maine, where he had lived most of his life. His early death at the age of 64 years was said to be the result of too close application of his profession and from overwork.